The critical research gaps initiative aimed to identify the key bowel cancer research gaps and recommendations with the greatest potential to benefit patients and ultimately save lives. Over a two year period from 2015-2017, a diverse range of almost 100 leading cancer scientists, healthcare professionals and people affected by bowel cancer came together to identify the key research gaps and priorities in bowel cancer research. A comprehensive process of questionnaires, meetings and prioritisation exercises ultimately led to a list of key research gaps and recommendations for the future. 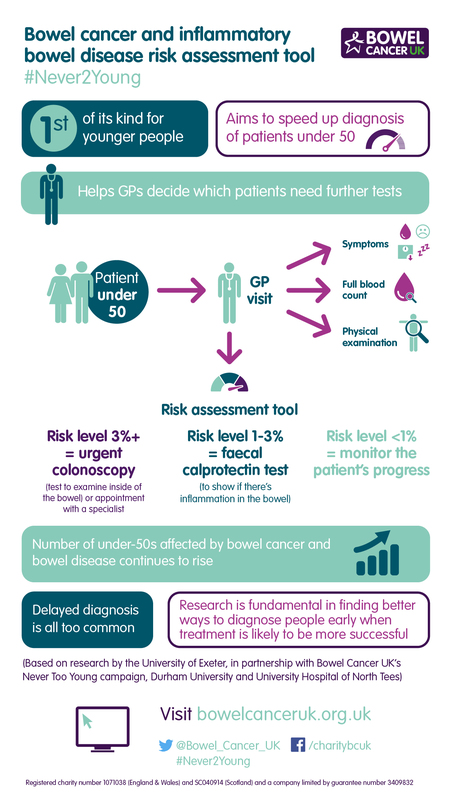 The identified gaps and recommendations cover the breadth of the bowel cancer patient pathway, from laboratory research investigating how and why bowel cancer develops, determining who’s at highest risk and how to prevent bowel cancer developing in the first place, to diagnosing at the earliest stage and providing the best treatment and care to everyone living with and beyond the disease. There were also a number of cross-cutting issues, including the need for greater collaboration, improved communications between healthcare professionals and patients and improved data sharing. The findings were published in the leading international scientific journal Gut and in our summary report ‘Finding the Key to the Cures: a plan to end bowel cancer by 2050’. Identifying the gaps and recommendations is only the first step. We will lead by example, but need others to join us. We’re determined to establish a strong research agenda, enable patients to influence and shape the future of bowel cancer research, build research capacity and facilitate collaboration across the research community. We have already launched our new five year research strategy, opened our first research funding round and will be holding our inaugural Colorectal Cancer Research Conference in 2018. We championed the creation of and gained funding for a cutting edge research project to help speed up diagnosis of younger bowel cancer patients. The research was led by researchers at the University of Exeter and Durham University. The researchers calculated risk of serious bowel disease and bowel cancer, based on patient symptoms. They used these risk values to create a risk assessment tool, which can be used by GPs to decide which patients should be referred for further investigation. The results are published in the British Journal of General Practice. We are campaigning for better diagnosis, treatment and care for bowel cancer patients under 50 as part of our Never Too Young campaign.